Your organisation needs to define a security policy based on a risk assessment and compliance regulations, and the defined policy needs to accommodate potential changes in the future. 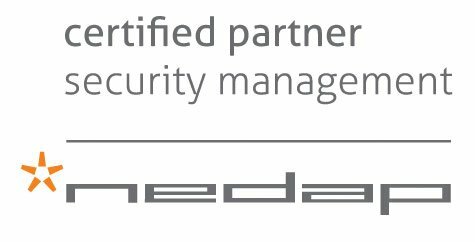 This web page explains how an Nedap AEOS Access Control system, supplied and installed by EA Group, enables you to comply with rules and regulations in the ever-changing world of security. In the security world, change is the only constant factor. No other access control solution is able to cope with compliance regulations, security threats and trends like AEOS does. Nedap AEOS is more than a solution for access control; it offers a unique architecture that is extendable and adaptable in every way. Unlike many other security management products, AEOS is a commercial off-the-shelf platform that is based on open standards and is highly configurable and customisable. Moreover, AEOS has a unique software-based approach. This means you can change your system’s functionality and security levels using software alone, making it easier and more cost-effective to adapt to changing rules and regulations. Your security policy consists of both technical measures and procedures, and work instructions for security staff. 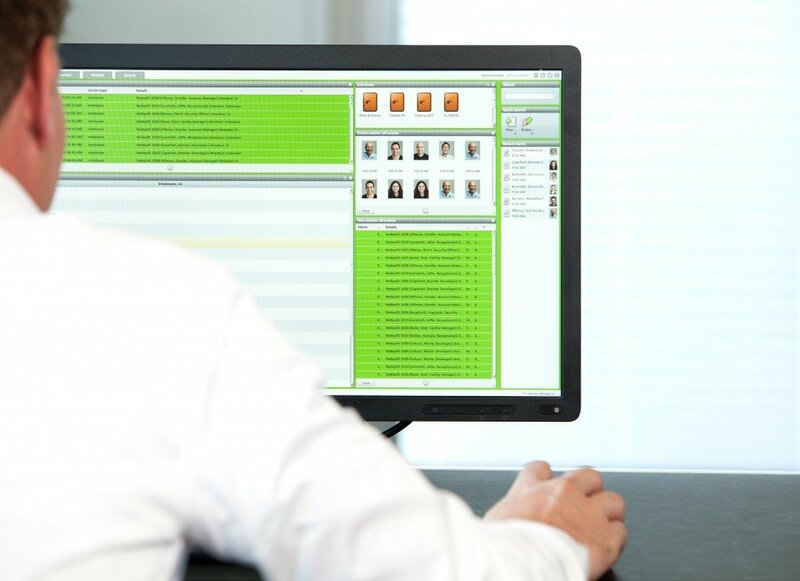 Procedures are enforced through AEOS’s unique functionalities, and its user friendliness ensures security staff are motivated to comply. Specific tasks are automated and accountability is registered. This, ultimately, increases your organisation’s security levels. AEOS offers a web-based application that is tailored to users’ specific needs. The AEOS configuration application allows you to amend your security policy easily. Staff working with the system will comply more closely with your security policy as the application supports them in their daily work. AEOS is also so intuitive, people need little training and are much more efficient in completing tasks. AEOS was designed following analysis of the various types of employees who use it: the receptionist, security guard, security manager and system administrator. There are different, highly customisable profiles for these different users of the system. for example, set which areas of the building specific users can monitor. Each profile supports the tasks needed by that particular user, which helps to increase efficiency and reduces the temptation to skip procedures that would be complex or time consuming on other systems. Usability is further improved by applying principles that enable users to stay on the page, reduce the number of clicks, take context-sensitive actions and avoid unnecessary searches. Many processes in AEOS are automated to ensure compliance, even in emergency situations. You can define and set how staff must respond to events. Or you can predefine security levels, which can be implemented immediately after an event occurs, for example. Nedaps’ AEOS platform gives you the freedom to configure and adapt your system so policies are always met. You can determine who can manage which elements of the system, and track the tasks they perform. Moreover, by using mandatory fields, AEOS enforces specific procedures such as enrollments being completed in full. Or you can define automatic responses so events are followed up appropriately. You can assign profiles to each user’s role, such as a receptionist or security guard, and define specific tasks and settings for each role. Filters define which functions and fields each user can see and edit. You can also restrict monitoring permissions to certain parts of the building, and control the areas for which a user can assign authorisations. AEOS will conform to your company’s existing authentication infrastructure. It supports login through, for example, LDAP and the active directory. AEOS also allows you to select specific workstations that users can log on from, and enables you to restrict permissions for these workstations. AEOS provides insight on all operations performed in the system. This helps you to optimise the workflow for users by configuring AEOS to make the most frequent tasks easily accessible. AEOS enables you to predefine responses to specific user actions. Users can be blocked from the system if they assign authorisations that conflict with your policy, for example. Or an email or SMS can be sent to badge holders if a replacement badge is issued in their name. You can define mandatory fields when a new employee or visitor is enrolled into the system. You can also add free fields to capture data specific to your company, such as a mandatory corporate ID. AEOS can be configured to inform employees and contractors when their personal data expires, helping to ensure all data stays up-to-date. If someone’s picture needs to be updated every two years, AEOS notifies you and can automatically send them a text message when their picture expires.